Don’t call it a comeback. Call it an ascension. Call it a profoundly powerful emanation that lives on still. Just don’t reduce it to a “show”. 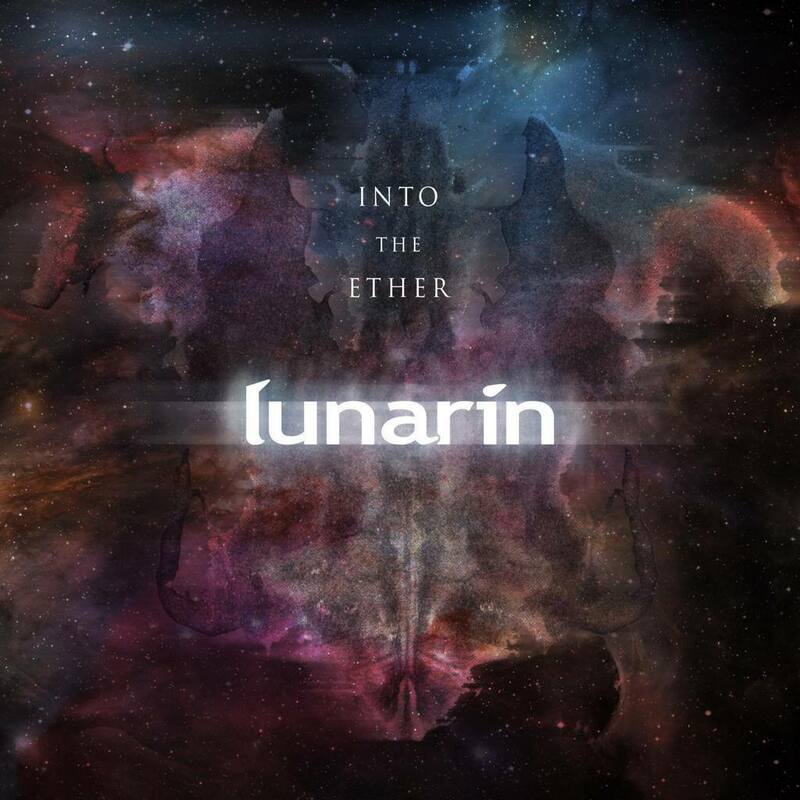 Last Saturday, Singaporean rock band Lunarin held court at the Esplanade Annexe Studio in celebration of its newly minted and very excellent EP Into The Ether. It was the band’s first transmission in six years and first live performance in eight. 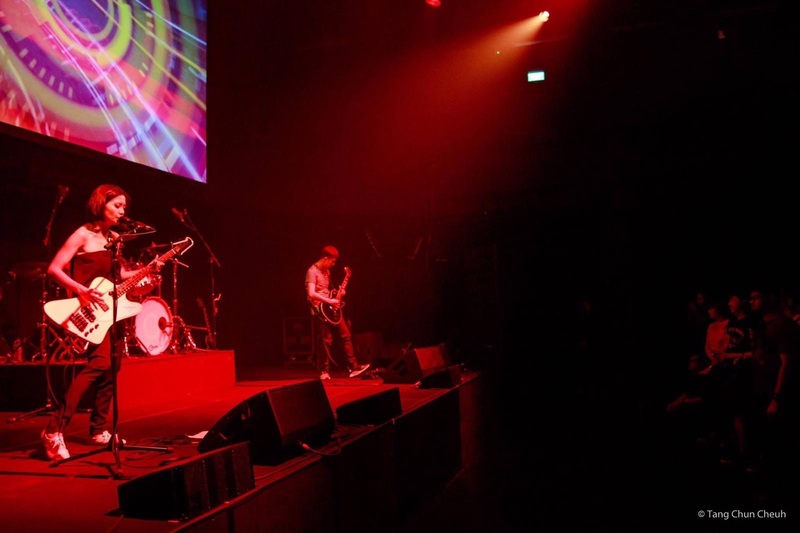 But in either arena, the herculean trio operation of frontwoman-bassist Linda Ong, guitarist Ho Kah Wye and drummer Loo Eng Teck, were distinctly unfaltering and inarguably flawless. Time, or more accurately, Internet time, by which moments are measured, today, moves at a mercilessly light-speed pace. Yet, the band re-entered the fray more culturally essential than it was prior. There is one uncomplicated reason for this: Into The Ether. The banner under which we had gathered that night, the EP, has an essence that is timely and timeless. It’s the sound of reckoning – personal, public and spiritual. Situated uncompromisingly in the odious political maw of the now, it finds the band simultaneously turning inward and out and from our fate as prisoners to decisions we’ve made as a society, mining a combustible fusion of epic grief and atomic anger. There’s so much to be fearful of and angry at and in its three-song, 23-minute runtime, Into The Ether vividly and viscerally dramatises this heady and worrisome cocktail – it’s a gorgeous sonic painting of our Icarian fall rendered in the most monumental and resonant sounds its makers have ever mustered. But it opened with an ending – ‘The Flood’. Into The Ether’s final track was the first song of the night. In the triptych, that’s the one that affirms that though the world’s being ravaged by the fires of injustice, a healing wind will eventually come. To this end, Linda, Kah Wye and Eng Teck harnessed its function as a herald for new beginnings incredibly. Lunarin has always been poised on a balance between earthiness and ethereality. Amidst a voluptuous swell of serrated guitar, galloping bass and sledgehammer drums, Linda sounds like she’s cooing a hole into the stratosphere. Live, that dynamic is spellbinding to behold. Celestial pop with the force of a battle-axe – that was given to an eagerly arms-outstretched audience. With an established band, there’s always the prominence of legacy that has to be acknowledged. Lunarin’s performance was as much a nod to its past as it was a stock-taking of its present. That’s why the older songs were rapturously received. Listening to ‘Zero Point Red’ and ‘Coralline’ in 2019 is surreal. Even though everything’s changed and it seems that we now stand under a different solar system, the stirring power of those songs prevailed, just like the band’s collective ability to summon it. Rock music’s most common veneer is the communal ecstasy, lighter-waving splendour and ease with which its sources lend themselves to deification. But it wasn’t like that with Lunarin. How do/can you do that with a band which cannot be bothered less with that type of validation? How can you worship a band whose music’s foundational aim is to affirm the human element in the abstraction that is humanity? Taking in the discography-spanning thrall of new gems such as ‘Bruises’ and ‘Rage’, as well as name-making ones like ‘The Chrysalis’ and ‘Right of Sleep’, produced a different emotional valence than pounding beers and “rocking out” normally does. There was a catharsis here – but it was not hollow or merely sensual. After all, the proceeds of the show were channeled to the homegrown charity, Humanitarian Organisation for Migration Economics (HOME). As 2019 unfolds, it will, for me, be a marker of time. Maybe, that’s what separates music you consume and music you live with. Eight years later is eight years better. Special thanks to Lunarin for the invite.